The fine people at Cafe press gave me the opportunity to design a t-shirt and stainless steel water bottle. 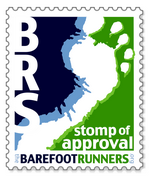 Since I am the president of the Iowa Chapter of the Barefoot Runners Society and have some speaking engagements coming up as well as barefoot races this spring, I thought it fitting to design some BRS gear! The t-shirt design process is quite easy to navigate. 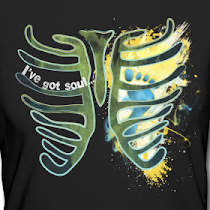 There are many options for t-shirt material and fit. I chose the womens fitted tee. It is 100% ring spun cotton and made by American Apparel. My work shirts are AA and I have been happy with the way that they have held up and fit. I would imagine that this tee will be the same in quality. I chose to upload my own image however there are many images to choose from on the site. The font choices for the lettering is wide and varied to fit the mood and style you wish to create. 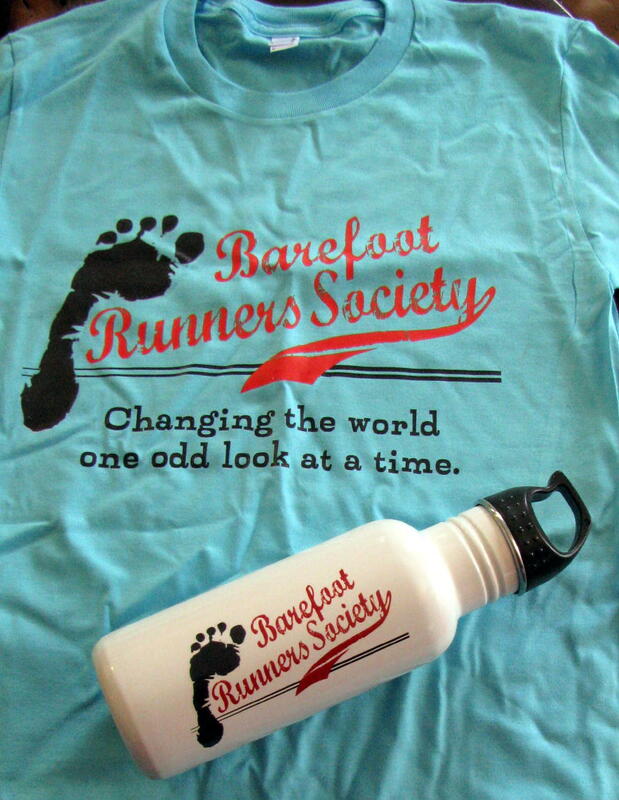 The Barefoot Runners Society logo is usually on a white shirt but frankly white does not go over well in a house of 4 young boy spawn and I also don't want to be constantly be worrying about my white shirt getting stained. Aqua looks better with my eyes anyways! You can probably imagine that it was tough to pick what exactly to make since there are so many options. The bottle is stainless steel and not dishwasher safe. It must be hand washed to keep the label fresh and looking new for years to come. The only thing I would change about the bottle is the option to print the logo on two sides of the bottle. There is a lot of white space that could be used up with cool designs. So go check out the site and get to designing that gear that suits you! Millions of custom mugs and funny t-shirts can be found at CafePress for unique gifts! Love your designs! I love stainless steel bottles, although I'd probably forget with that one and toss it in the dishwasher. That's a really cute shirt. I love the color!!! The t-shirt is a great colour. looks great on you. Oooh... I like them both!